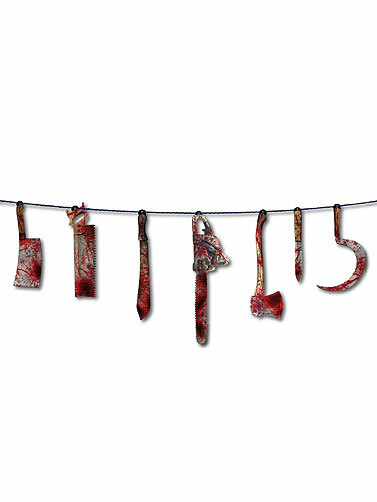 Bloody Weapons Garland features 7 assorted weapon paper cut-outs that measure approx. 6"H - 11"H hanging from a twine string. 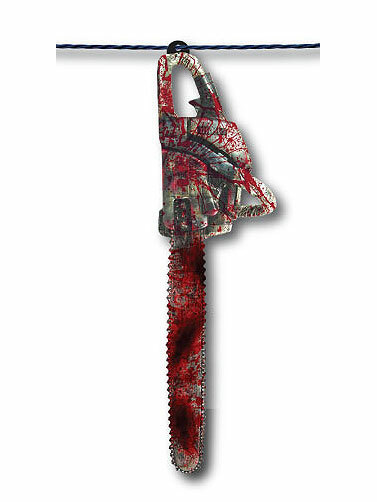 The realistic bloody weapon images are printed on both sides and look great in a dungeon scene, asylum party theme or a mad laboratory. Bloody Weapons Garland measures 72"L.